Netflix is easily one of the most popular (if not THE most popular) streaming service in the world. With over 130 million active subscribers, you can bet they have a little something for everybody. And if your something happens to be anime, you’ve come to the right place. Here’s our current list of the best animes on Netflix in 2019. No list of the best anime shows would be complete without mentioning the insanely popular Naruto series. To give you a sense of how popular the anime show is, it’s based off of the third-best selling manga series of all time. 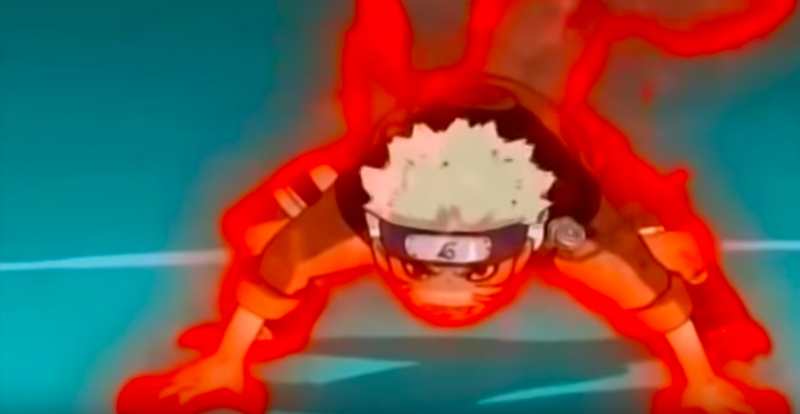 Naruto tells the tale of a young boy (Naruto Uzumaki) who has been imbued with the spirit of the 9-tailed fox, a powerful demon which laid waste to the boy’s village moments before he was born. Only the boy’s father, the leader of the hidden leaf village, was strong enough to seal the 9-tailed fox spirit inside of Naruto. In the hopes that one day, his son would grow strong enough to control its power. The first part of Naruto is available to stream on Netflix, along with the Naruto Shippuden movies. With well over 200 episodes in Naruto part one, you’ll have plenty to binge before it before watching Naruto Shippuden on Netflix. Another anime based on a popular manga series. 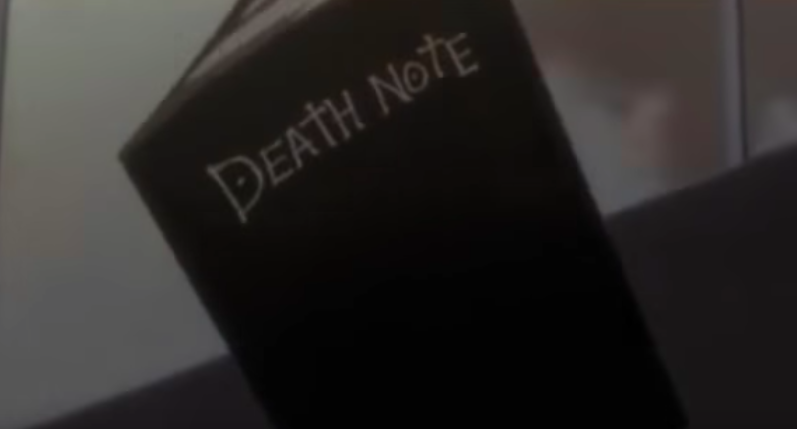 Death Note follows the story of an intelligent high school student by the name of Light Yagami. One day, Light unexpectedly discovers a mysterious journal, which grants him the power to kill anyone in the world by simply writing their name inside of it. Obsessed with his new god-like power, Light begins cleansing the world of anyone he deems unworthy. But after a number of the world’s most notorious criminals die inexplicably, a mysterious detective known only as “L” emerges to bring the killer to justice. In addition to the full anime series, you could also watch the Netflix exclusive, live-action adaption of Death Note as well. It’s not nearly as good as the anime series, but it does stay faithful to the source material. Based on a popular series of video games from the 80’s and early 90’s, Castlevania offers a fresh new take on the story of Dracula. The show starts off with an angry mob burning a woman suspected of witchcraft at the stake. Afterwards, the woman is identified as Lisa Tepes, the beloved wife of Count Vlad Dracula Tepes. Once the news of his wife’s death reaches Dracula, he puts a curse on the town and all the inhabitants of Wallachia. An army of demons and monsters begin terrorizing the townsfolk, until the legendary monster hunter Simon Belmont starts fighting back. With the help of mysterious sorceress Sypha Belnades and Dracula’s half vampire, half human son Alucard, Simon attempts to kill Dracula, once and for all. Loaded with a stunning cast of voice actors, Castlevania is one of the highest rated anime shows currently available on Netflix. The show is also a Netflix original series, and already has two seasons under its belt. Another Netflix original anime, Devilman Crybaby is based upon the legendary 1972 manga “Devilman”. While the major plot lines of the manga have been kept the same, Devilman Crybaby changes some things from the original source material. Such as taking place in a more modern setting, and introducing some new characters and locations. The series follows Akira Fudo, a young man who’s described as being overly sensitive, often crying when provoked or upset. That all changes when Akira reunites with his childhood friend, Ryo Asuka. Ryo informs Akira that demons are real, and that he’s attempting to prove their existence to the world. After agreeing to help his friend, the two set off to summon a demon. But things go horribly wrong and Akira ends up becoming possessed by the hellish creature. Fortunately, Akira’s strong will prevents him from being completely possessed, and thus he becomes the titular Devilman. If the above description sounds chaotic, that’s nothing compared to the rest of the series. The plot becomes absolutely crazy, and the finale won’t disappoint. I won’t spoil anything for you here, but just know that Devilman Crybaby is hyper-violent and intended for mature audiences only. Rurouni Kenshin (also known as Samurai X) tells the story of a wandering swordsman by the name of Kenshin Himura. Years before becoming a wanderer, Kenshin took part in the Bakumatsu war. His ruthless actions and assassinations earned him the nickname “Battosai the Manslayer”. However, once the war was over, Kenshin vowed to never kill again and would instead protect those who cannot protect themselves. The rest of the series follows Kenshin’s journey to redemption, as he battles new enemies and demons from his past, all while remaining faithful to his promise to never kill again. 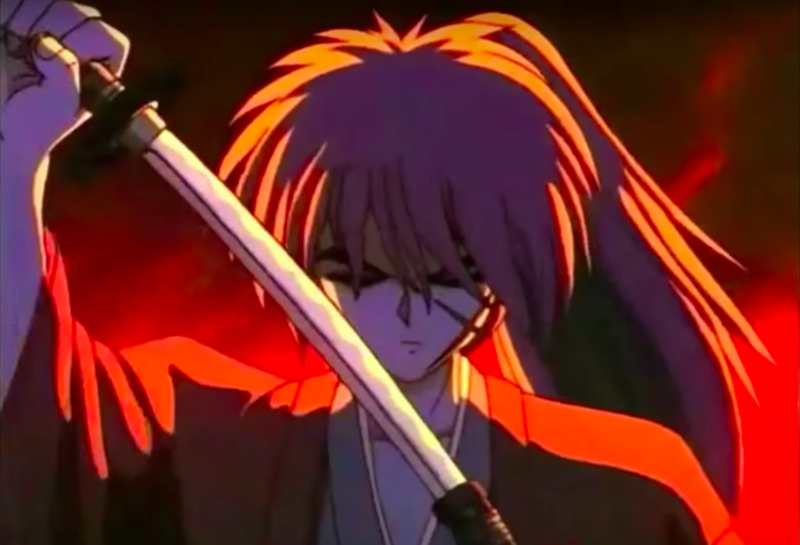 All three seasons of Rurouni Kenshin are available to stream right now on Netflix. This includes both the original Japanese voice acting (with subtitles) and the English dubbed episodes as well. If you’re an anime fan, you most certainly recognize the name Mobile Suit Gundam. This immensely popular anime series has lead to so many spin-off shows, movies, and manga series that it’s notoriously difficult to keep track of the series timeline. While some of the arcs in the long-running series are best left forgotten (I’m looking at you Mobile Suit Gundam: Seed), Mobile Suit Gundam UC is far from one of them. This series originally aired in Japan on the Playstation Network back in 2010. The show’s original run featured 7 50-60 minute episodes. However, due to Mobile Suit Gundam UC’s massive popularity, it was shortly released in English on Cartoon Network’s Toonami TV show. However, due to the formatting of Toonami at the time, the show had to be broken up into 22 episodes, each roughly 15-20 minutes in length. But now thanks to Netflix, you can enjoy the full show the way it was meant to be watched. The highly acclaimed, 7-part series Mobile Suit Gundam UC is now available to stream in English. 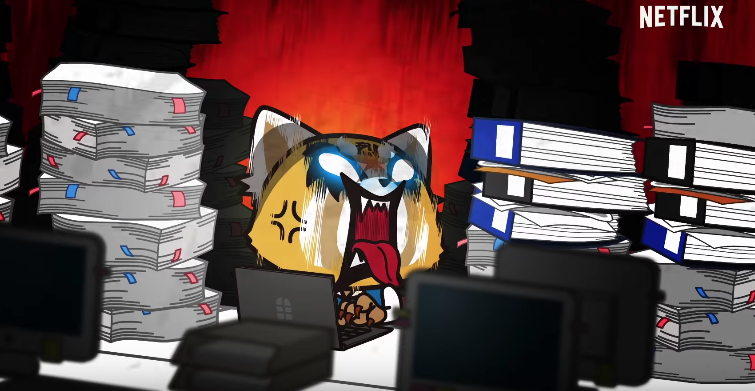 Retsuko, a character created by Sanrio, is a red panda and a downtrodden office worker. She’s a standard office worker by day, scary death metal karaoke star by night. Honestly, this show looks hilarious and kind of scares me. 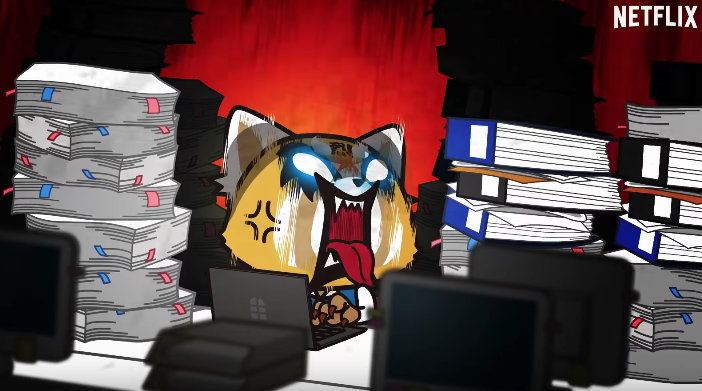 Aggretsuko only has 1 season and is a Netflix Original. Besides Neon Genesis Evangelion, Ultraman is on the the most highly-anticipated anime shows of 2019 on Netflix! This show is about high-school student Shinjiro Hayata, who is the next to wear the Ultra Suit. His mission is to protect Earth and make sure it remains peaceful. His father was the former Ultraman, and now it’s his responsibility to be a hero. This anime show is one that’s definitely up my alley! Aside from Netflix adding and removing some of the popular anime shows on the platform, there are still some great ones to come in this year. Their will be animes based on the movie Pacific Rim, Netflix series Altered Carbon, and graphic novel Trese. They will also be premiering Cagaster of an Insect Cage, Neon Genesis Evangelion, Rilakkuma and Kaoru, and Yasuke. I hope you enjoyed our list of the best animes on Netflix, and if you’re looking for more awesome anime content, check out our list of anime memes! You Might Also Like: Awesome Shows To Binge On Netflix! Next Article A Gamer’s Input: Is GameFly Worth It? Pingback: Top 10 Anime Memes You Need To Check Out!